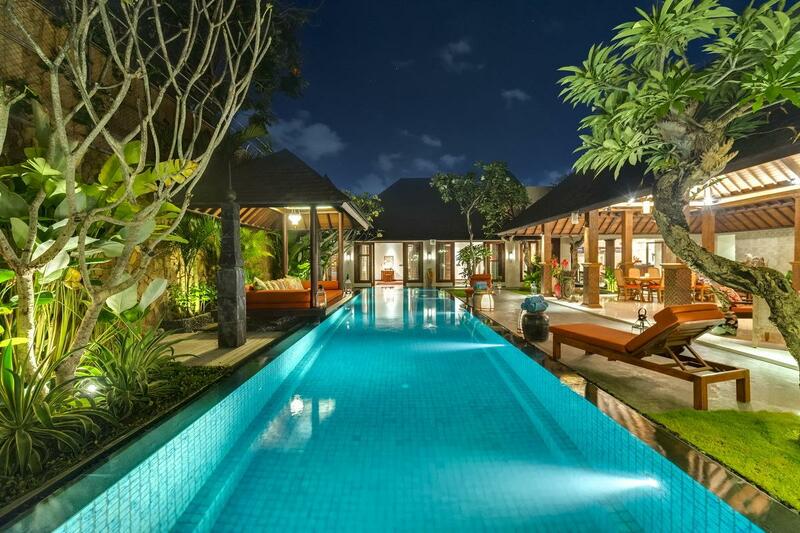 Villa 3154 is one of Bali’s newest “super villas”, designed to fulfill your dreams for a totally pampered holiday or an impeccably catered for event. Fully equipped and fully serviced you will want for nothing. 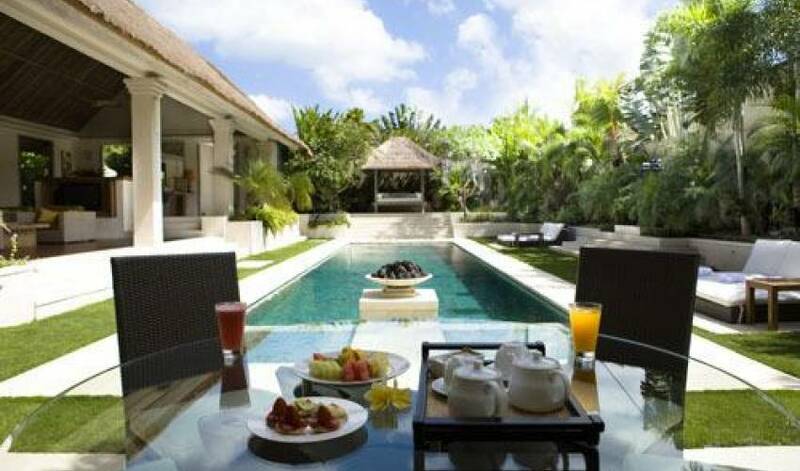 Ideally located in Seminyak you are within easy reach of some of Bali’s best beaches, restaurants, clubs and shopping. And of course, surrounded by the beautiful Balinese culture. The three bedrooms are in a separate two-story complex at the end of the pool. 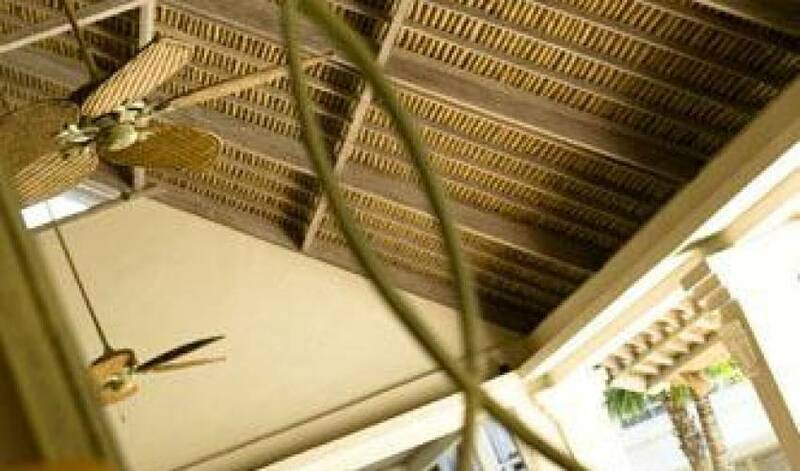 Each is air-conditioned and features its own generous outdoor/indoor tropical style bathroom. Each have ample storage with spacious dressing rooms and total individual privacy. The super size 62 sq m master bedroom enjoys its own spacious lounging and entertainment areas and verandah overlooking the pool and gardens. Bedroom two and three are a generous 31 sq metres each and have their own private garden area. 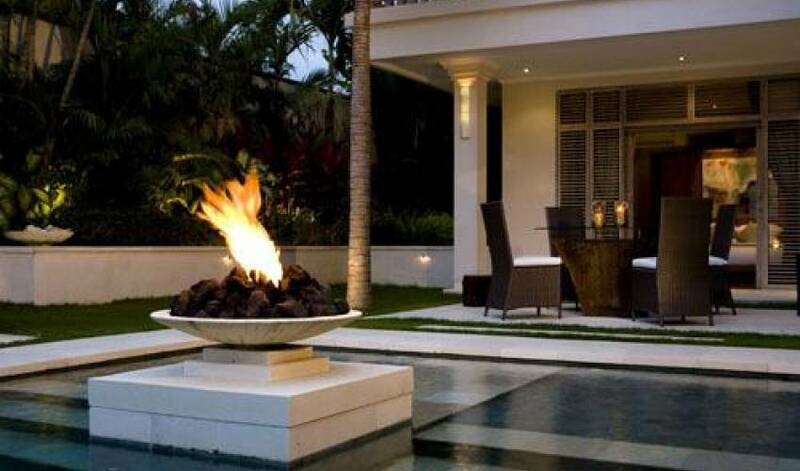 Delight in the luxury of seclusion or entertaining on a large scale. 3154’s contemporary design enhances the beauty of tropical living. Full of natural light, taking advantage of cooling breezes, surrounded by “secret gardens” and water features, the whole complex is transformed at night into a magical wonderland with beautiful lighting. A sparkling 4 x 20 metre pool runs alongside the entertaining areas which seamlessly merge the outdoors with the indoors. 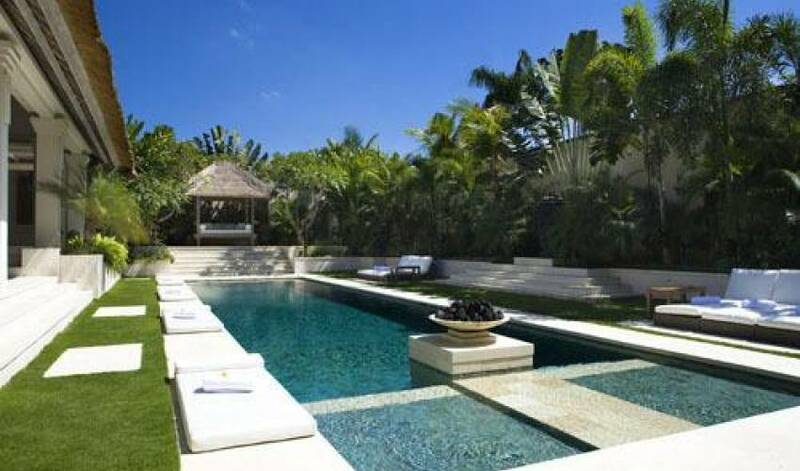 The pampering starts the moment you land in Bali with an airport transfer in a luxury SUV car. Villa attendants for housekeeping, cooking breakfast and laundry. 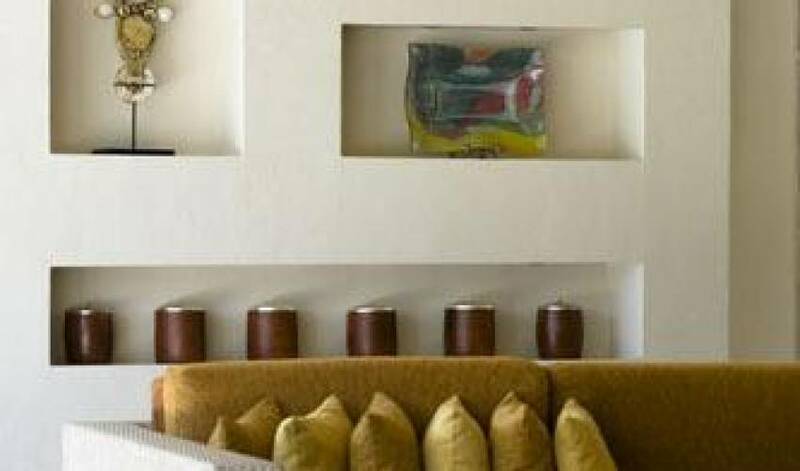 Chef on call, trained in local cuisine and in charge of market shopping as well as preparing the guests’ meals. Broadband Wi-Fi internet connection throughout with two laptops available for private use. Satellite TVs, VCD, DVD and Bose sound system. IDD Phone and 4 x cordless phones throughout. 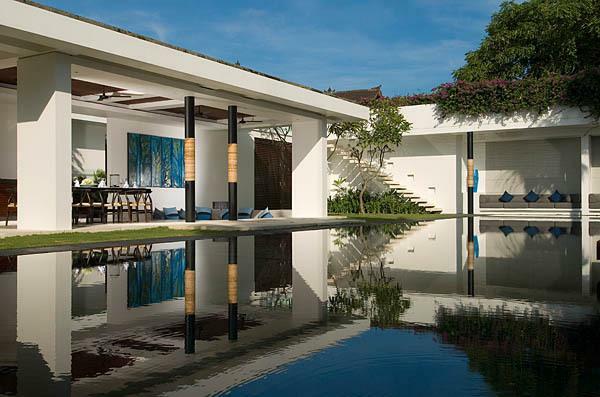 Just twelve kilometers from the airport, Seminyak is now one of Bali’s most popular areas for both residents and visitors alike. 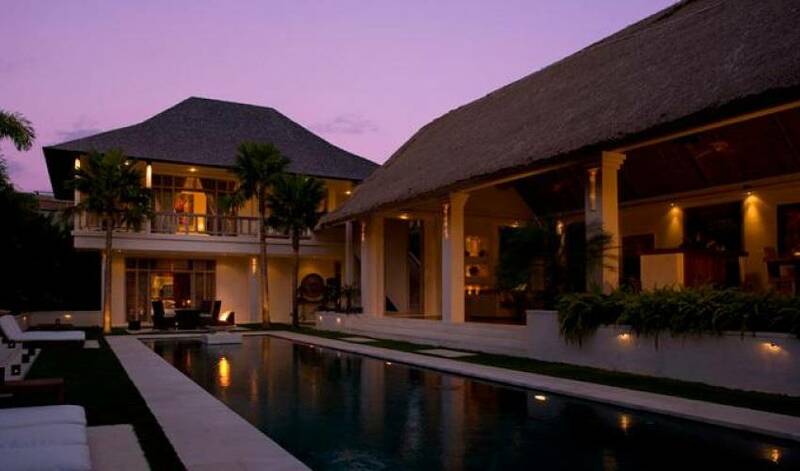 It is home to the Oberoi and Legian hotels and the setting for some brilliant sunset cocktails at the world famous Ku De Ta or La Luciola. Classic Balinese “Warungs” feature delicious Balinese and Indonesian favorites and world standard restaurants and modern delicatessens cater to all tastes. Seminyak features some of the best shopping and one of Bali’s largest beachside temples, the site of many regular, colourful ceremonies. Seminyak beach is well known for surfing and close to golf courses, tennis, horseback riding, dive schools, sailing cruises and more.